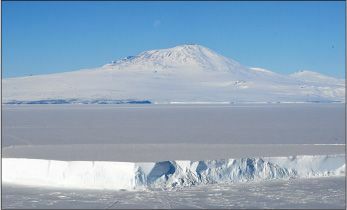 Geologists have identified 91 previously undiscovered volcanoes beneath the Antarctic ice sheet—a massive range that has the potential to trigger a catastrophic rise in global sea levels. The discovery was made by researchers from the University of Edinburgh using ice-penetrating radar. The 91 peaks lie under more than a mile of ice, and along with 47 previously identified volcanoes make up the largest volcanic region in the world. If one or more of these volcanoes erupted, co-author Robert Bingham tells The Guardian (U.K.), it could have a catastrophic effect on climate change. “Anything that causes the melting of ice, which an eruption certainly would, is likely to speed up the flow of ice into the sea,” he says. “The big question is: How active are these volcanoes?” Global warming could cause a feedback loop: Melting ice relieves downward pressure on the volcanoes, which could then become more active. Bingham notes that the most active volcanic regions in the world—among them Iceland and Alaska—lost their glacial covering after the last ice age. “It is something we will have to watch closely,” Bingham says. The theory that you can be “fat but fit”— overweight or obese, yet still healthy—is flawed, a British study has concluded.